A big name was traded on Wednesday when the Orlando Magic sent guard Steve Francis to the New York Knicks for Anfernee Hardaway and Trevor Ariza. It was one of many high profile trades over the past month in the NBA. Perhaps the biggest trade of the season occurred in late January when the Indiana Pacers sent Ron Artest to Sacramento for Peja Stojakovic. This trade has worked wonders for both clubs as the Pacers are on a current 6-1 SU (7-0 ATS) run and the Kings are 7-3 SU (8-1-1 ATS) over their past ten games. Both Indiana and Sacramento travel tonight to face division rivals in the Pistons and Lakers. Below is a look at each of these national TV games on TNT for Thursday night. INDIANA at DETROIT (-8 ½, 178) (TNT) The Pacers enter this game off an excellent seven game home stand where they went 6-1 SU and a perfect 7-0 ATS with their only loss coming versus the defending World Champion San Antonio Spurs. The current 6-1 SU run follows a 0-6 SU losing streak at the end of January. Indiana has accomplished their current winning streak without their best player as Jermaine O'Neal remains out with a groin injury. O'Neal is expected to miss at least another month and leads the team in scoring (20. 9 ppg), rebounding (9.8 rpg), and blocks (2.2 bpg). Indiana has also been without forward Austin Croshere (8. 7 ppg, 5.9 rpg) for the past seven games as he is day-to-day with a concussion. Point guard Jamaal Tinsley (10.4 ppg, 4.9 apg) has missed the past eight games due to an elbow injury. Despite the absence of three regulars, the Pacers continue to win and are coming off an impressive 97-75 home victory over New Orleans as a 6 ½-point favorite on Tuesday night. The biggest difference has been the acquisition of former Sacramento forward Peja Stojakovic. The Pacers are 6-2 SU (7-0-1 ATS) since he joined the lineup on January 31st. Overall, Stojakovic is second on the team in scoring (18.6 ppg) and rebounding 7. 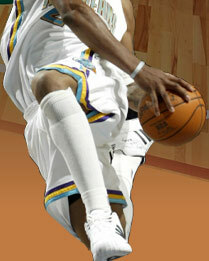 3 rpg) and has helped fill the void created by Jermaine O'Neal's absence. The Pistons are 43-9 SU this season and they have an extremely strong home court where they stand 24-2 SU, however the oddsmakers often inflate the pointspread and Detroit is only 13-12-1 ATS in those twenty-six home games. Detroit has the most talented starting lineup in the league with four players making the All-Star team. Detroit is coming off a 97-87 home win over Atlanta on Tuesday and they are playing with revenge tonight from a 93-85 road loss at Indiana on February 4th. The Pistons were a 7-point road favorite in that game and outshot the Pacers 43-39 percent from the field, but were out rebounded 64-49, including a 25-12 disadvantage on the offensive boards. SACRAMENTO at L.A. LAKERS (-2, 199) (TNT) The Sacramento Kings started 0-2 SU/ATS when Ron Artest joined the lineup on January 27th, but the Kings have since gone 7-3 SU (8-1-1 ATS) over their past ten games. Artest is currently second the team in scoring (17.5 ppg), third is assists (3.7 apg), and leads the club in steals (2.8 spg). Sacramento has become a better defensive squad with Artest and the Kings have held seven of their past nine opponents to 42 percent shooting or lower. Sacramento has also allowed 89 points or less in six of those nine games. The Kings continue to play without guard/forward Bonzi Wells who has missed the past eight games due to a groin injury. Wells is doubtful tonight and he is tied for the lead in rebounding (7.9 rpg), second on the team in steals (1.8 spg), and fourth on the team in scoring (14. 6 ppg) and assists (3.1 apg). Sacramento might also be without forward Kenny Thomas who was injured in Tuesday's 102-77 home win versus Golden State. Thomas is questionable tonight due to an eye injury and he averages 26 minutes per game this season and is third on the team in rebounding (6. 9 rpg) and seventh in scoring (9.2 ppg). Thomas had been playing increased minutes during Bonzi Well's absence and Thomas had averaged 11.8 rebounds over the past five games. The Lakers returned from the All-Star Break with an impressive 99-82 home win over Portland on Tuesday as the Laker's Lamar Odom's had one of his best performances of the season with 20 points and 17 rebounds. The Lakers have not won back-to-back games since January 16th and are just 6-9 SU (4-9-2 ATS) during that span. This is a revenge game for the Lakers who lost 118-109 in overtime at Sacramento on January 19th as a 3-point road favorite. Kobe Bryant had 51 points in that game and was a perfect 13-for-13 from the free throw line. Lamar Odom had a double-double with 16 points and 10 rebounds. The Kings were led by Mike Bibby's 40 points and a triple-double by Kenny Thomas who had 16 points, 12 rebounds, and 10 assists. STEVE MERRIL is a professional sports handicapper and a documented member of The Professional Handicappers League. Get his Premium plays here. .